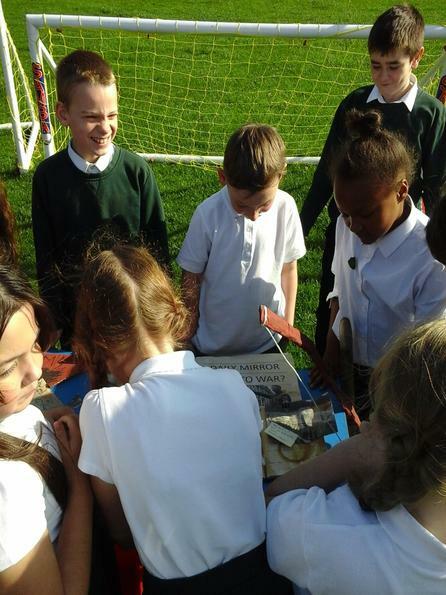 At Westwood, we use a technique called ‘Imagineering’ to inspire and engage the children in their learning. 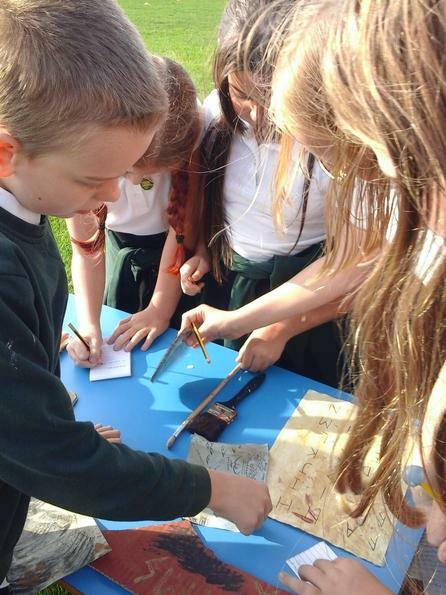 When using Imagineering in writing the children can fully immerse themselves in the writing, allowing them to feel a purpose in what they are producing. 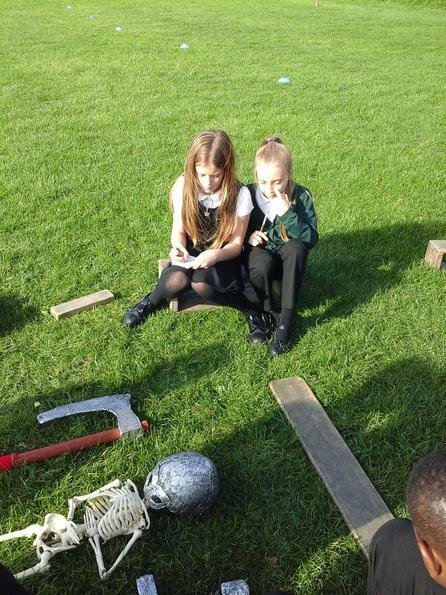 Imagineering may offer the children a ‘problem’ that they need to solve and they can explore this through their writing. 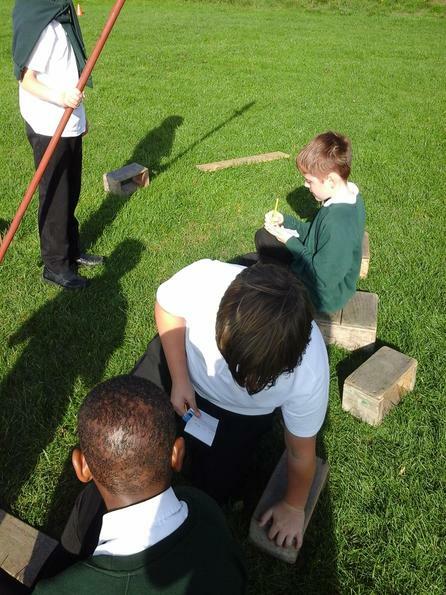 It can be used to develop a clear understanding of a setting, character or situation through the use of drama. 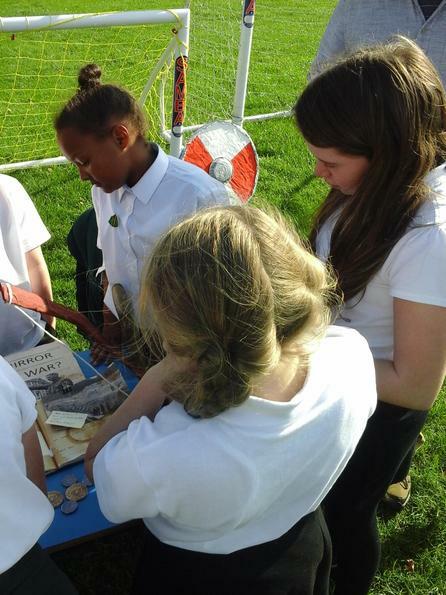 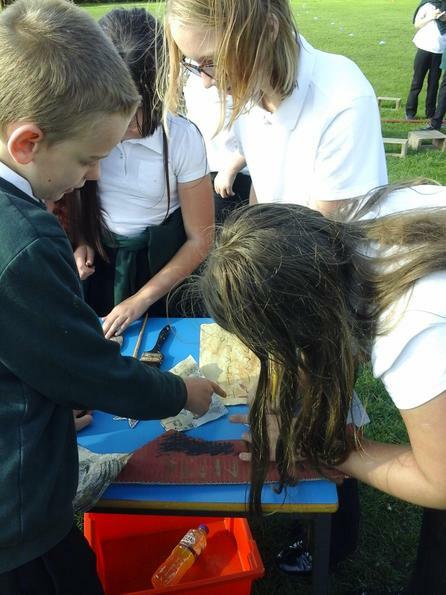 Imagineering also provides opportunity to ‘hook’ the children in to a piece of writing. 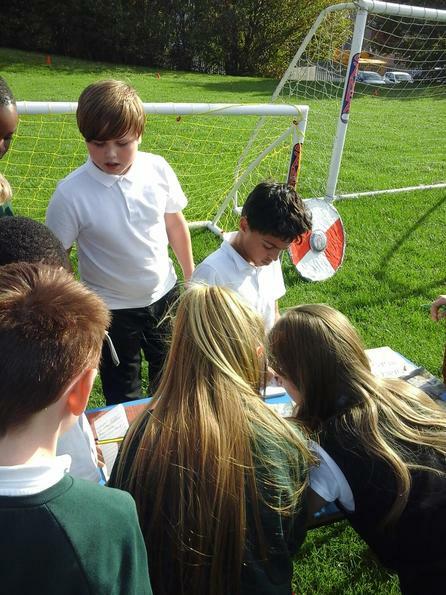 Along with generating ideas through engaging, stimulating and exciting ways, we also provide children with the skills required to produce well-written pieces of writing. 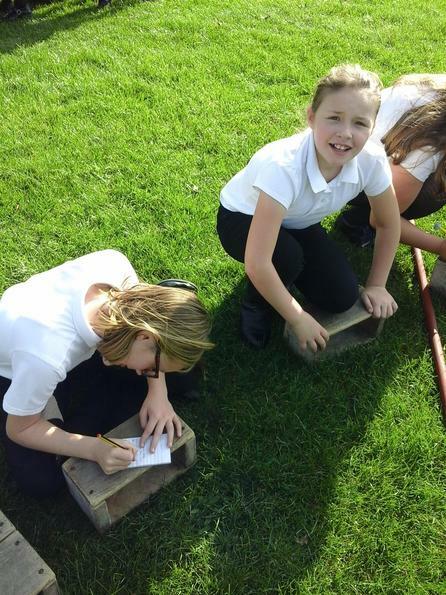 For every piece of writing children are given a clear writing objective for them to try and achieve in that piece. 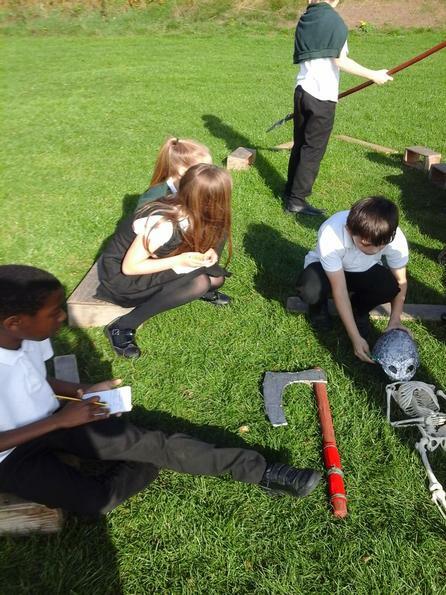 The objective is taught as part of the writing lesson and is in context to the adventure therefore providing children with work that can lead directly into the piece of writing for that lesson. 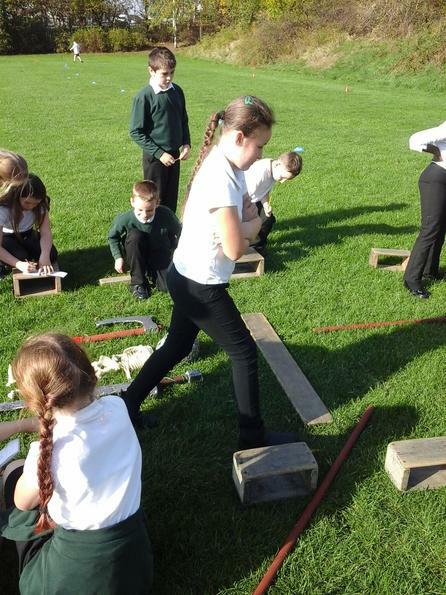 Physical active learning is an approach used at Westwood as a method to motivate children and enhance their learning experience. 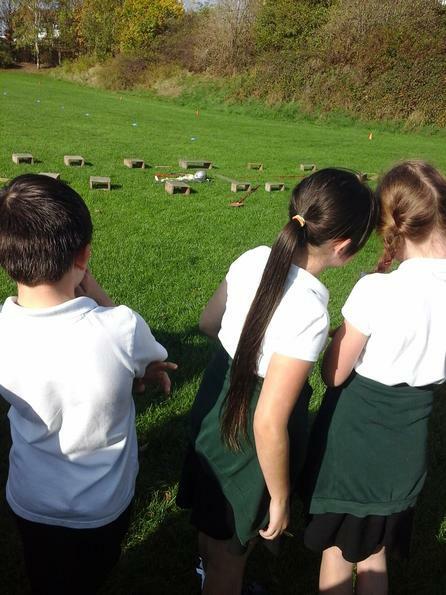 This is achieved through a whole school approach called ‘Burn 2 Learn’. 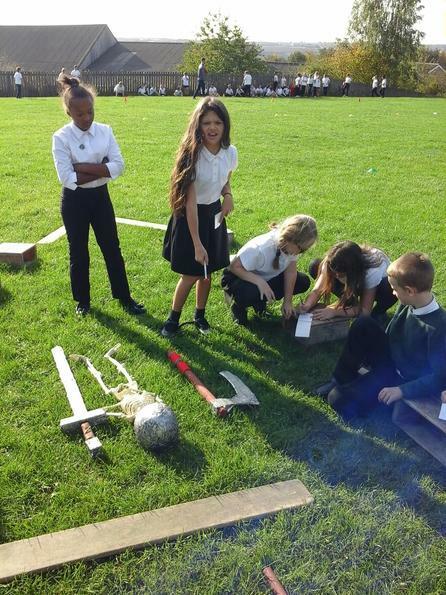 This combines cross curricular learning (including writing) with moderate to vigorous physical activity as children are taught whilst moving around the classroom or outside. 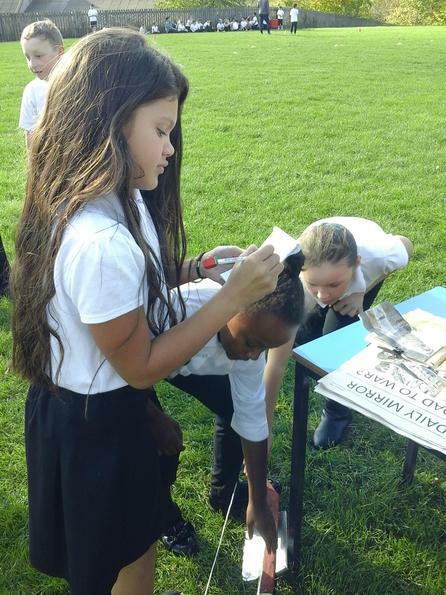 In writing, children complete a range of ‘Burn 2 Learn’ activities ranging from the teaching of the genre, the specific writing objective for the writing lesson and generating ideas to include within their writing. 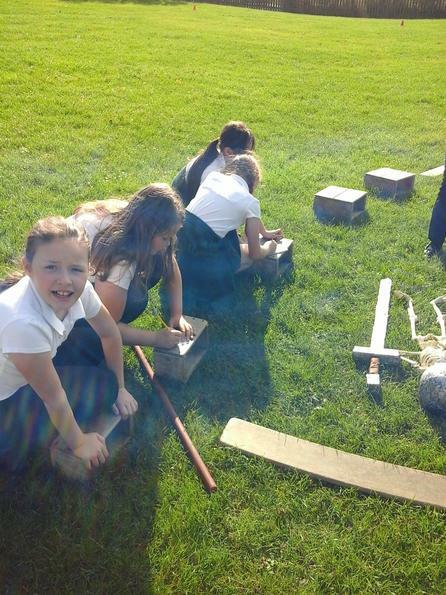 At Westwood, we believe that providing a curriculum which is engaging and hands on is key. 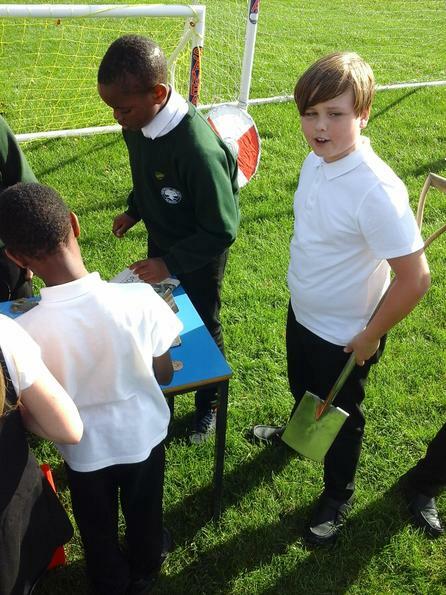 Through the whole curriculum we want to create a culture of ‘botheredness’ so the children are fully immersed in what they are doing. 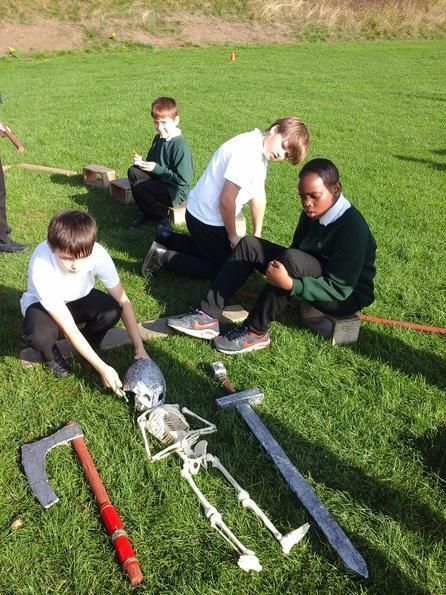 In order to do this, we deliver our lessons through learning adventures where each key stage follows an adventure, which has a strong narrative running through it, where all subjects are taught following the same story. 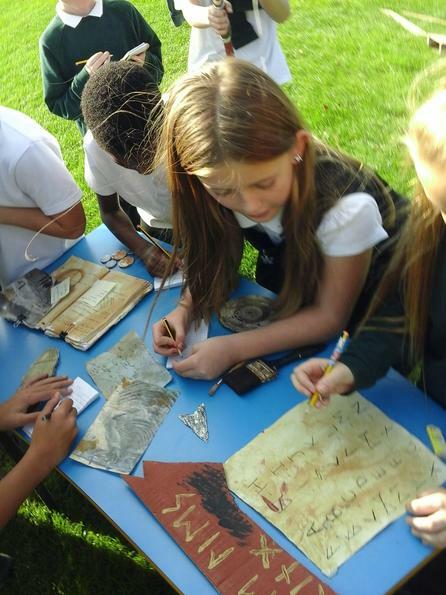 This includes writing, which allows children to feel a purpose for their writing and have the necessary information and motivation to produce excellent pieces of cross-curricular writing. 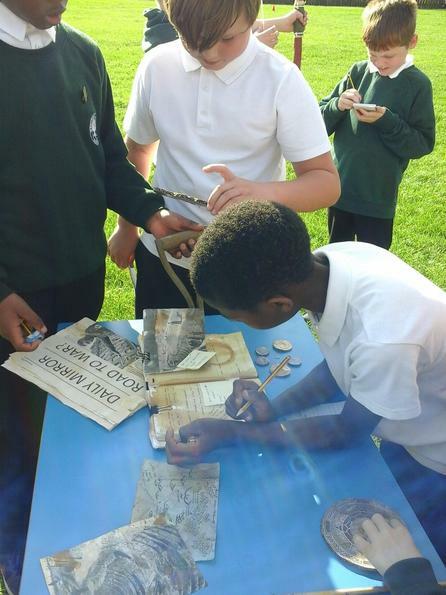 In writing lessons at Westwood, we create experiences which are exciting, hands on and memorable. 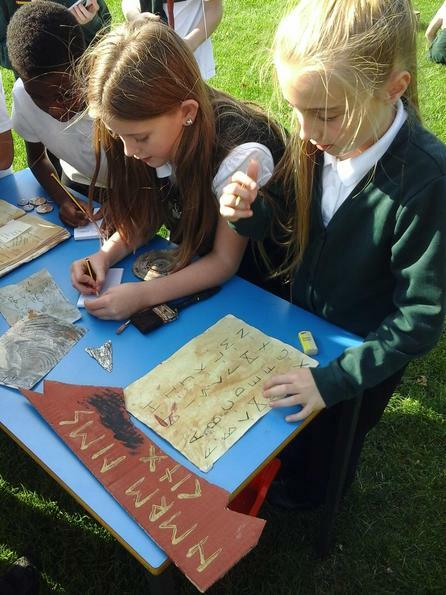 This gives the children rich and varied lessons that provide them with opportunities to immerse themselves in what they are writing. 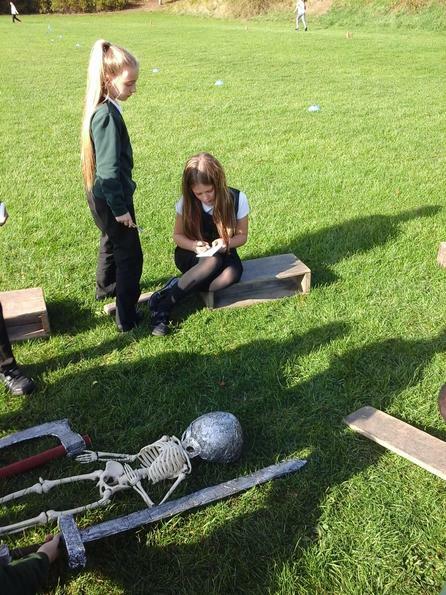 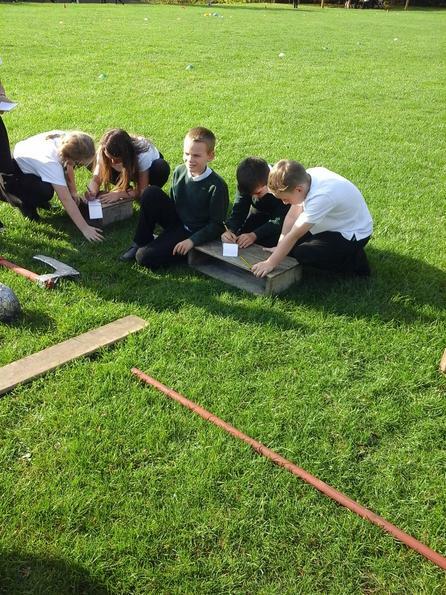 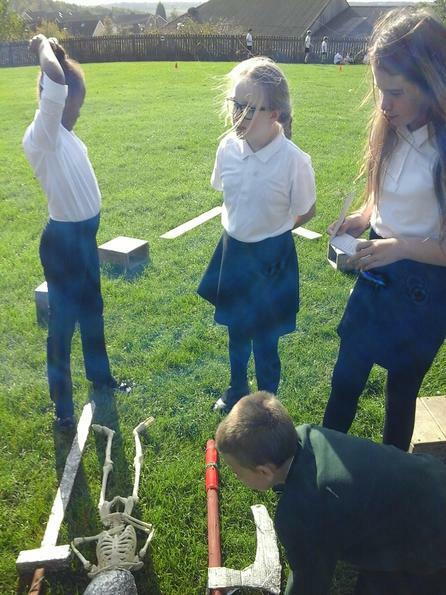 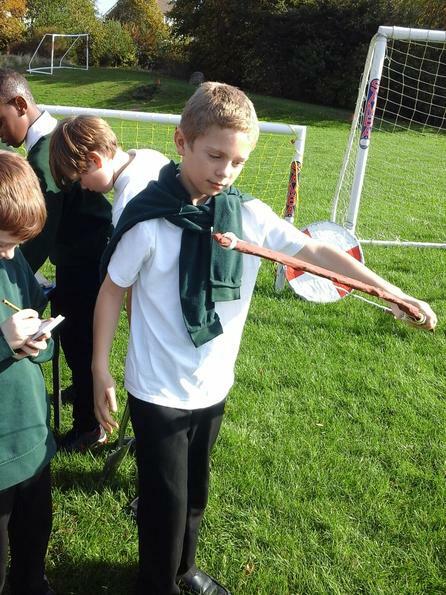 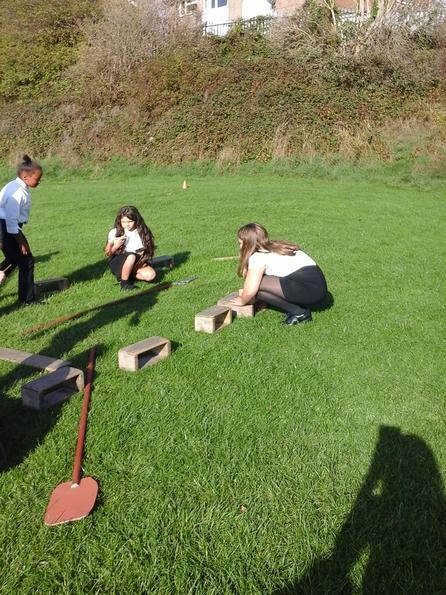 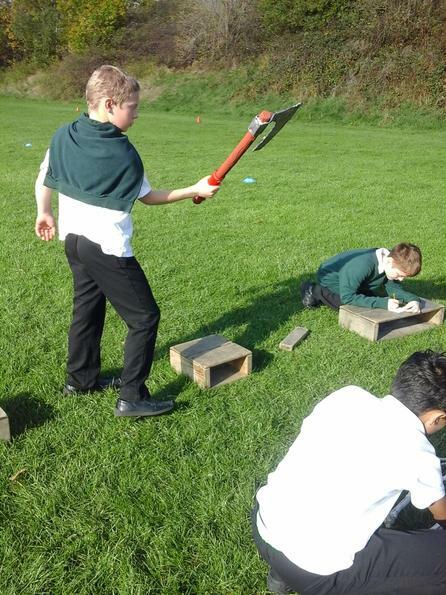 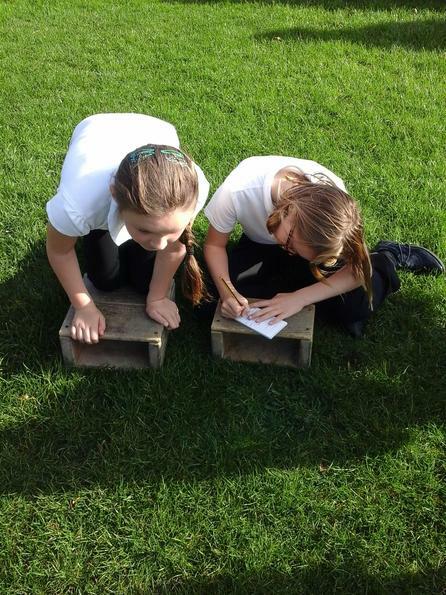 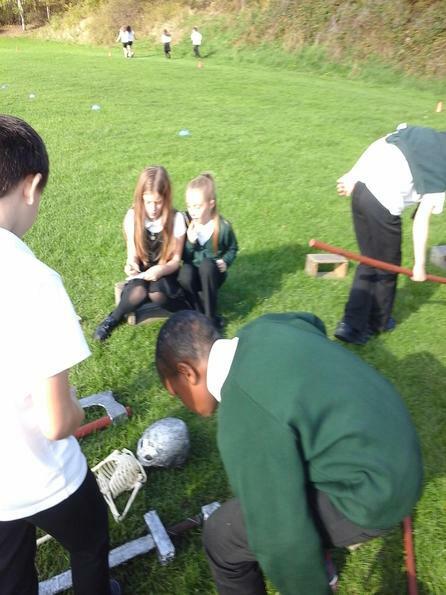 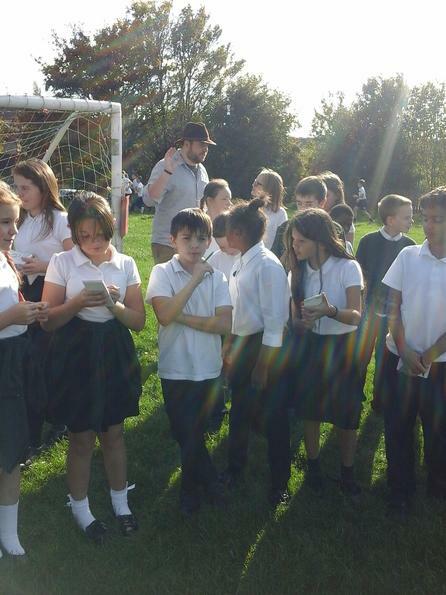 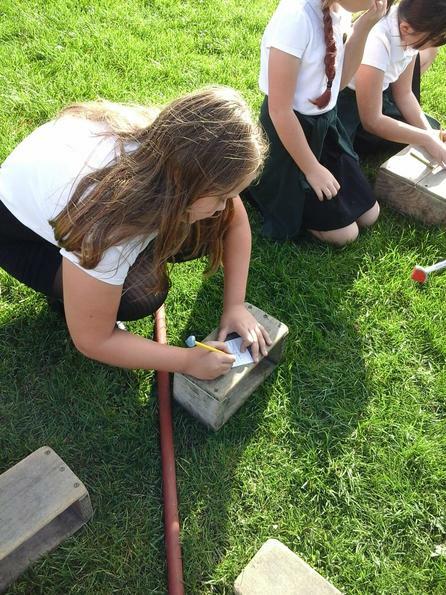 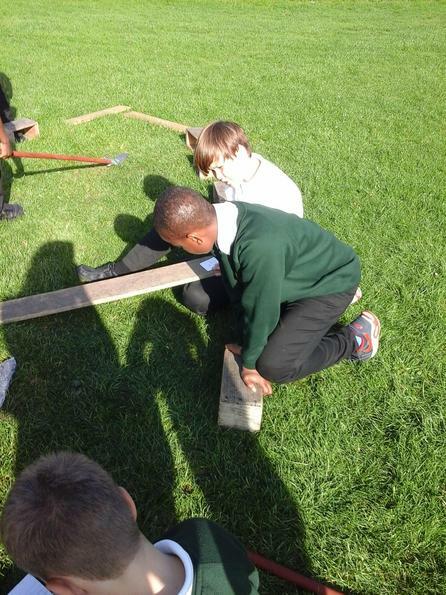 We do this through the use of outdoor learning, where writing hooks or ideas take place outdoors. 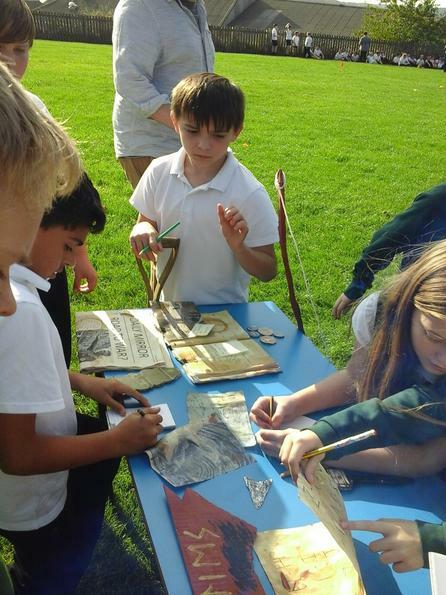 The children engage in practical, hands on activities where they can create before writing about what they have produced. 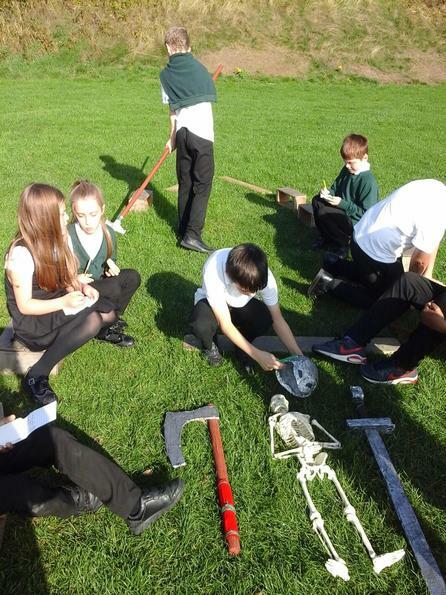 We also provide them with real-life experiences where they can gain a level of insight into what they are writing about and build their imagination. 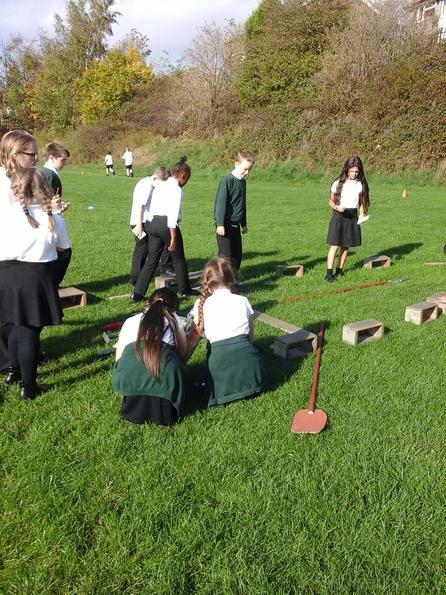 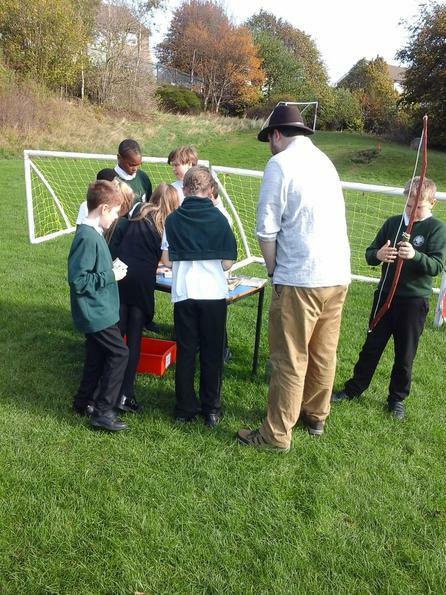 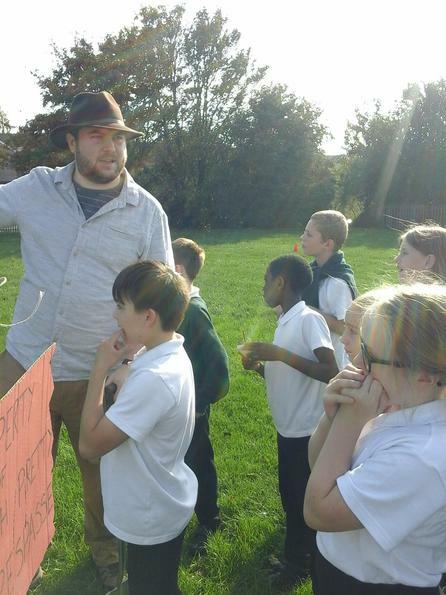 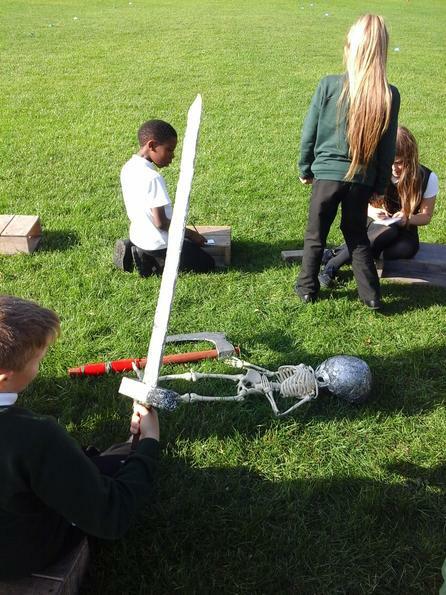 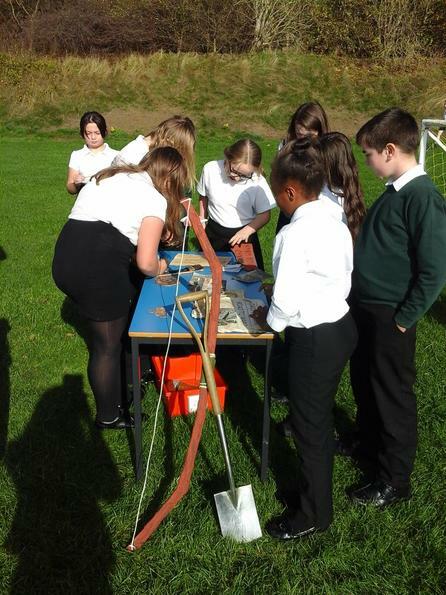 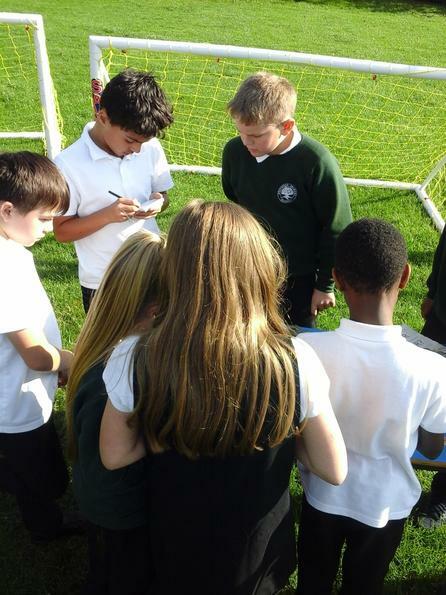 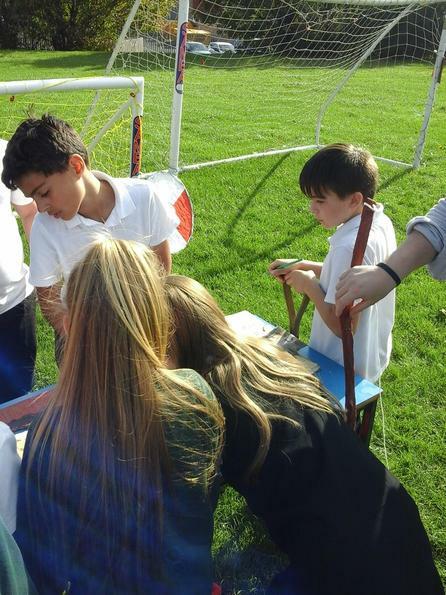 As a way to encourage the use of outdoor, real life and hands on learning within writing, a staff meeting was held demonstrating how this method can be achieved. 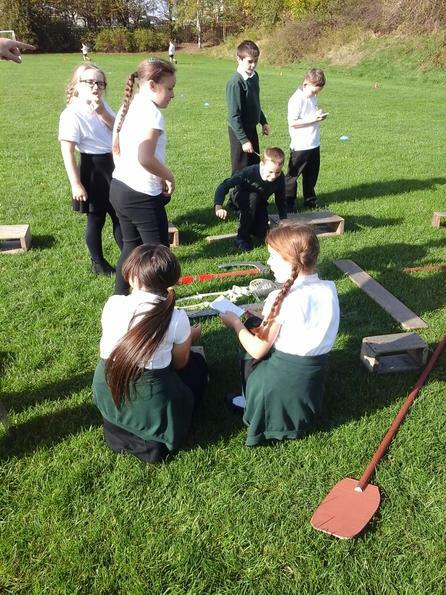 All the teachers went onto the field and saw a mysterious sight: an outline of a longboat, various weapons, remains of a warrior, messages in runes and an old diary. 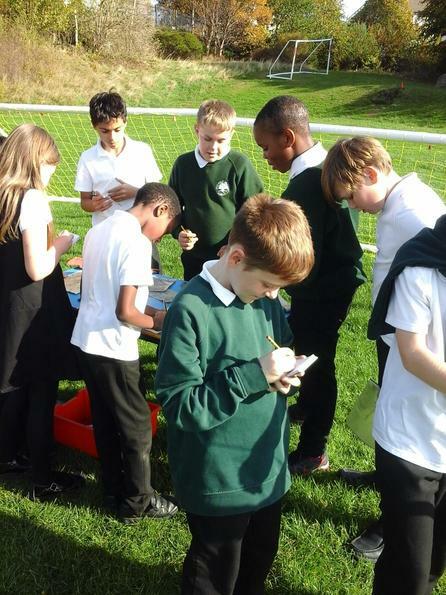 They had to crack the codes and work out the clues to discover what the site was. 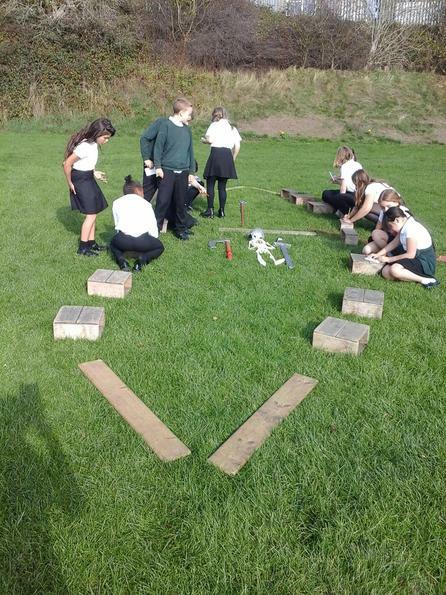 It was in fact the archaeological discovery at Sutton Hoo, which is one of the most important ever discoveries of Anglo-Saxon artefacts. 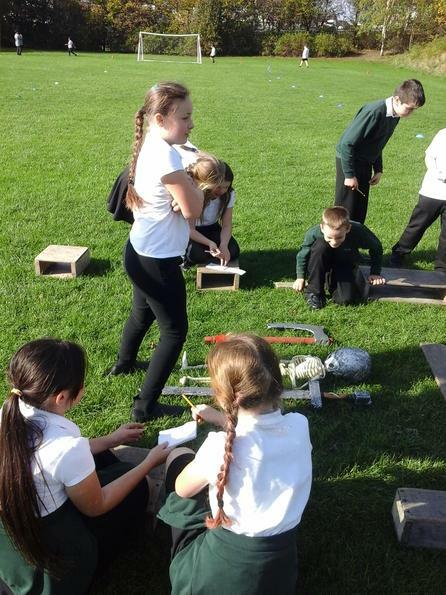 Back in the classroom, the teachers discussed where this engaging hook could be taken next within a lesson and thought of ways they could use similar approaches (outdoor, real life and hands on learning) within their next adventures. 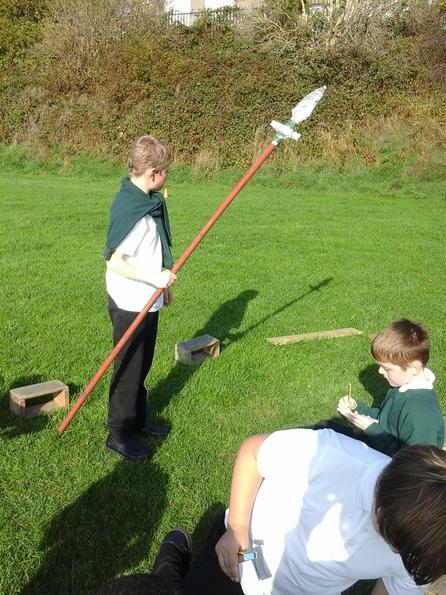 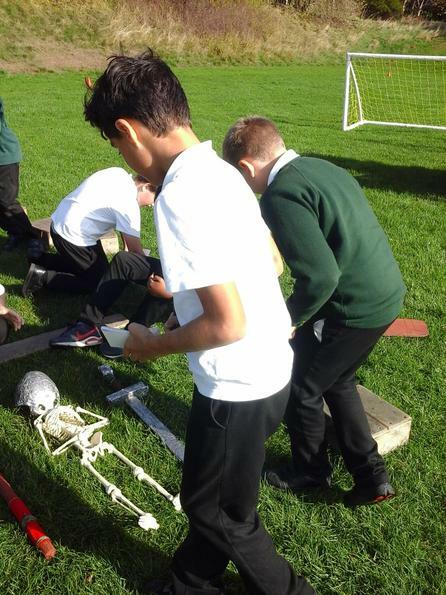 The same lesson was used later in the week with Willow class (whose adventure was all about the Anglo-Saxons and Vikings). 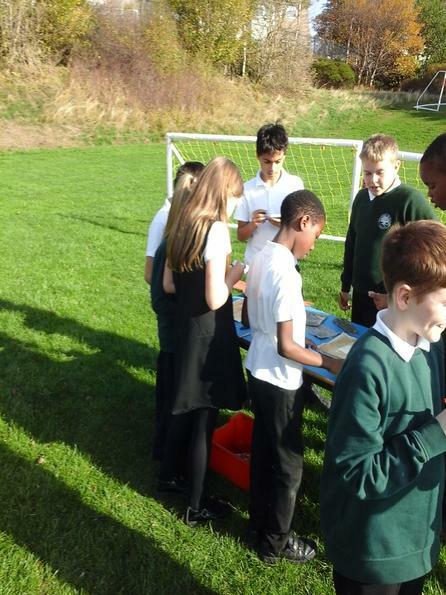 They too had to try and crack the codes just like the teachers. 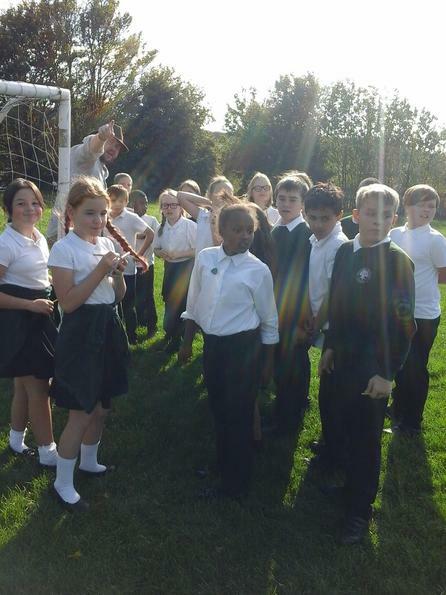 The children excelled themselves! 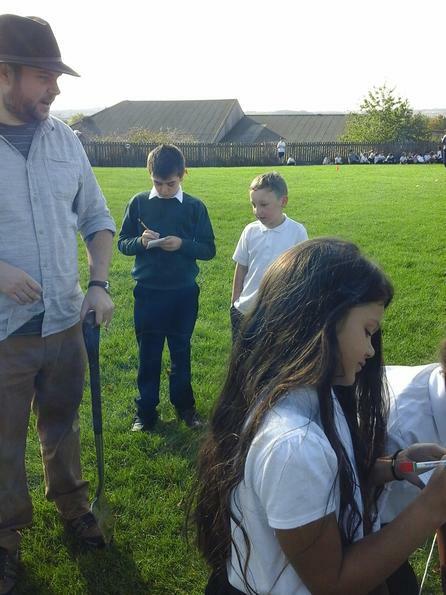 They were intrigued, asked many interesting questions and worked out what all of the clues told them.